Exponential growth comes to business Africa. 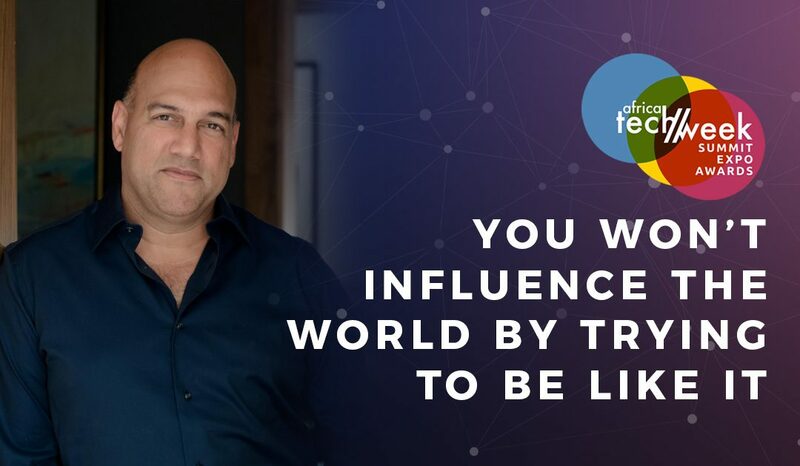 Cape Town, South Africa, 21 November 2018 – Host Topco Media is pleased to announce Salim Ismail as Keynote Speaker for the inaugural Africa Tech Week (4-6 March 2019, Century City). no. 1 on Amazon’s Best-Sellers in Business Management. He has been profiled by The New York Times, Bloomberg BusinessWeek, Fortune, Forbes, WIRED and the BBC. Ismail co-founded ExO Works in 2016 to catapult organisations into the world of exponential thinking. An “exponential” organisation is one whose impact (or output) soars to ten times that of peers, through its leveraging of rapidly accelerating technologies. For example, think of the very companies that first jumped onto personal computers, the internet and cellular technology. Companies today need to be adopting the accelerated technologies of tomorrow – or risk fading towards obsolescence. ExO Works helps companies articulate, adopt and effectively own the future of technology, thereby becoming exponential. The advisory counts numerous global Fortune 100 companies as clients and has more than 120 certified consultants in 28 countries. In advance of Africa Tech Week, ExO Works is surveying JSE Top 100 companies through the very same Exponential Quotient (ExQ) methodology it used successfully for the Fortune 100. The ExQ survey shows companies whether they are ahead of – or lagging behind – the exponential curve. Ismail, Exo Works and Topco Media will announce the JSE Top 100 results at a CEOs’ breakfast during Africa Tech Week. In his Keynote Address, Ismail will speak on Igniting Exponential Growth in Organisations through Technology. The ExO Sprint Playbook to evolve your organisation to navigate industry disruption and change the world for the better.